J5L-Production Oy has a certified ISO 9001: 2015 Management System. Combination of our simple production setup and performance, focus on quality with professional and flexible workforce gives us possibility to handle short delivery times with more simple and complex special projects. We use only well known raw materials, state-of-the-art machinery and production processes with quality checks for every process step. Company and its personnels are committed to follow the standards and product quality compliances. We continuously train our employees to maintain ISO quality management system standards. 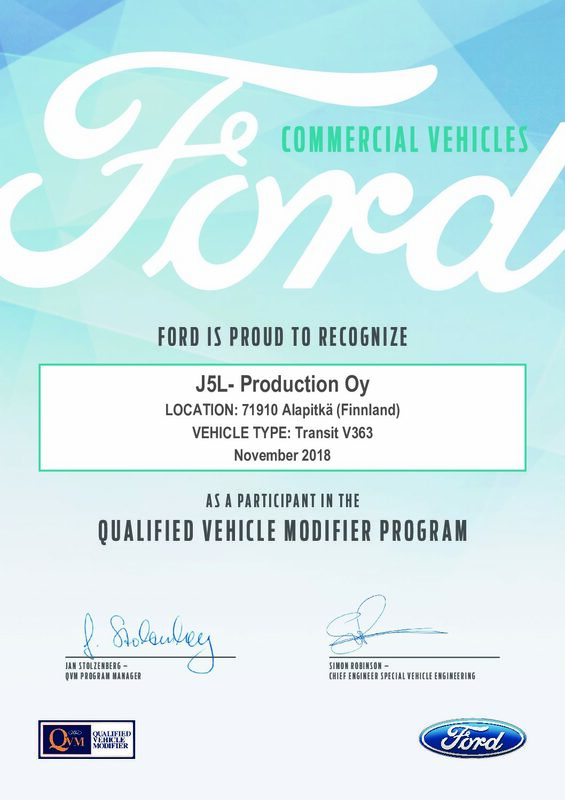 As the first Nordic country, our company has a Ford QVM partnership certificate. 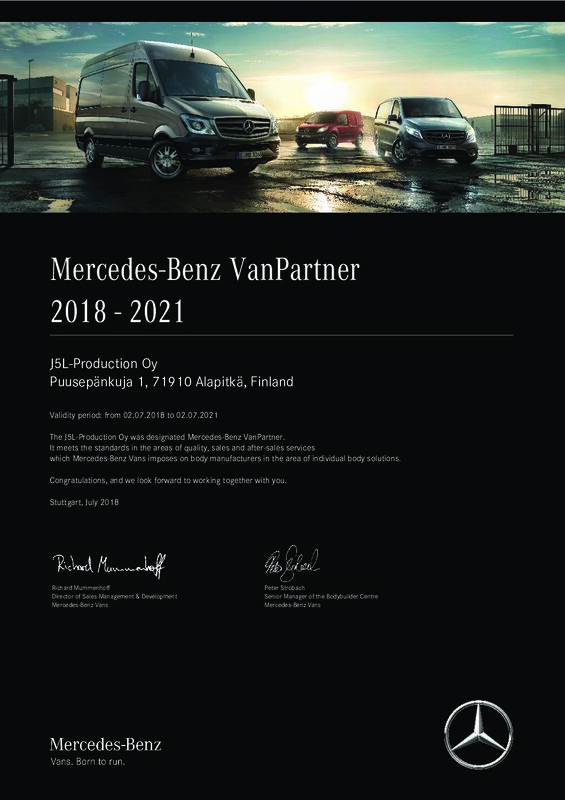 J5L-Production Oy is also a certified Mercedes-Benz VanPartner partner.